Learn to think like your dog and communicate in a language your dog understands! Have you ever wished you could get inside your dog’s head and figure out what’s going on there? Now you can, because this award-winning book lets you do exactly that. With all the dog training books available today, this number one best seller is a must have in your library! 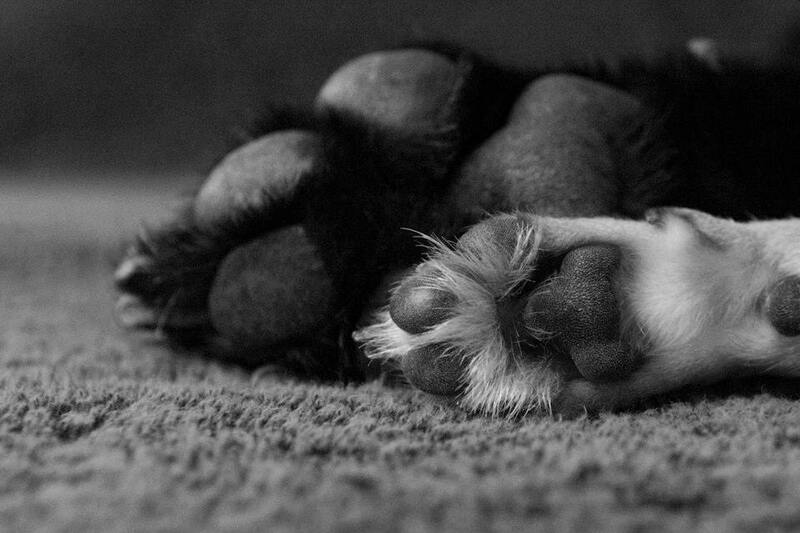 It’s no secret that canines and people are wired to think differently. 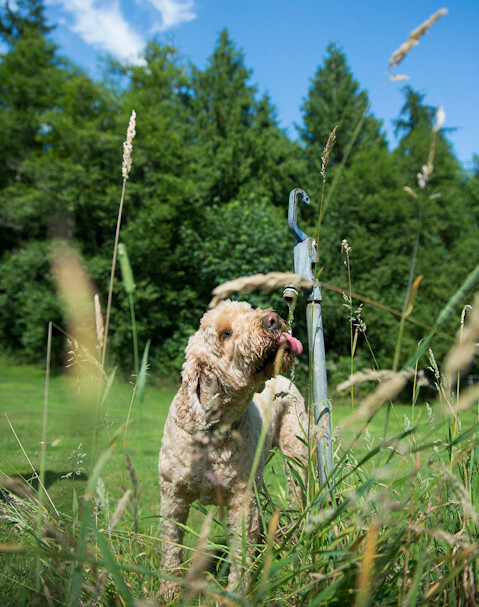 But with the proper coaching – which this book provides – you can know which way the mental wheels are turning when your dog is dealing with this problem or that encounter. Knowing what is going on in your dog’s head, you also will know how to respond to the situation appropriately. 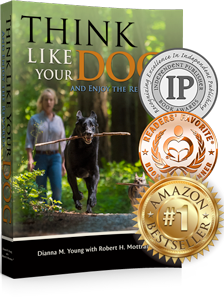 The author is a fulltime professional dog trainer of several decades, specializing in dog obedience training and in behavior modification and who has taught thousands of dogs and their handlers successfully, and she doesn’t hold back in this book. She shares the secrets she has acquired through a classic professional dog-trainer education and through dozens of years of boots-on-the-ground experience with canines and handlers of nearly every description. They have a fresh perspective on dogs and people and life that is missing from everyone else. What’s interesting is they’re talking about how to deal with dogs, but this is not just about dogs – it’s dating and business and Thanksgiving dinner with the extended family, for heaven’s sake. It’s life in the guise of training dogs, and it’s HUGE. This will be your go-to book of all dog training books. It’s loads of fun to read – full of great stories and incredible insights into the way dogs think. You’re going to love this book! A must-read for any dog owner! Dianna Young’s training style is right on the money. Loving your dog is a given, but learning to be its leader will make the bond much stronger and more fulfilling. 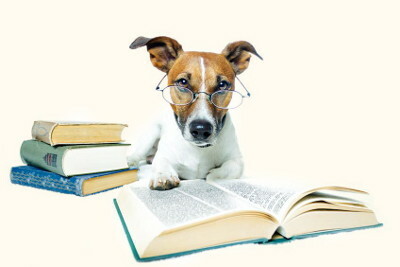 You will learn how your dog so accurately reads your intentions, and how you can read his. You will learn the best way to communicate with your dog, and you will learn that it often doesn’t involve words. You will learn the single most-important thing there is to know about human-canine dynamics and, knowing it, you will gain new insights into the relationships between people and their dogs. More importantly, you will gain new wisdom about your own relationship with your personal canine companion and new skills to help you nurture that relationship to a higher level. 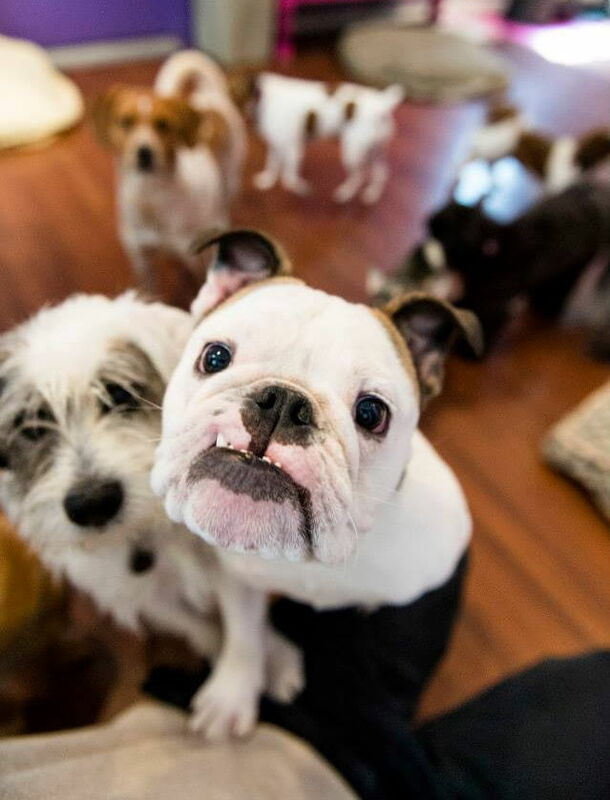 You will learn how to be your own dog whisperer. Whether you’re an experienced dog owner or someone looking for dog training for dummies, this pet You can take communication with your dog to amazing levels if you know how, and this book shows you how. Learn to think like your dog and to communicate with it in a language your dog understands and uses all the time; body language.